Patients with coronary heart disease (CHD) typically have reduced health-related quality of life (HRQoL) compared to those without the disease. Self-rated health (SRH) can provide valuable information about individuals’ current health beyond what might be measured by clinical investigations or biomarkers. While far from perfect, and certainly not a replacement for these clinical measures, previous research suggests a link between SRH and health outcomes. However, the evidence is inconsistent, particularly if we distinguish between self-reported mental and physical health. A 2009 systematic review (1) highlighted significant links between individuals’ physical health status and health outcomes (mortality) but found no consistent association between mental health status and outcomes. 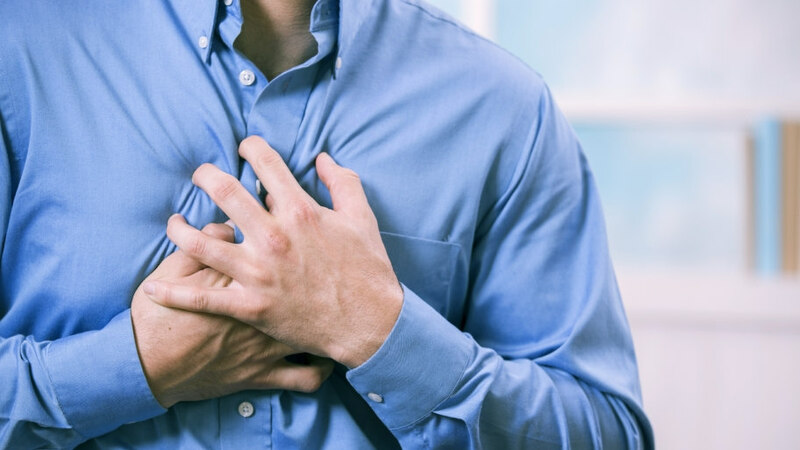 A more recent study (2) in patients with a previous myocardial infarction (MI) identified mental health status as having a significant association with poor health outcomes (cardiovascular events and all-cause mortality). These studies informed our own exploration of whether the physical and mental health components of SRH would be associated with all-cause mortality in a sample of patients with established CHD. Our study (3) was a secondary analysis of data obtained from the SPHERE (Secondary Prevention of Health Disease in General Practice) study which took place between 2004 and 2010. SPHERE was a cluster randomised controlled trial (RCT) involving 903 patients in Northern Ireland and the Republic of Ireland. The objective of the SPHERE intervention was to improve outcomes for those with established CHD using tailored practice and patient care plans in general practice (4). Conducting a secondary analysis of SPHERE data enabled us to address another question; that is, to see if patients’ SRH, measured at baseline using the 12-Item Short-Form Health Survey (SF-12), was associated with all-cause mortality over the study follow-up period (6 years). If an association were found in this population, it could indicate that administering a relatively simple SRH questionnaire might allow clinicians to identify patients at higher risk for poor health outcomes. The attractive feature of the SF-12 is that it provides both Physical Component Summary (PCS) and a Mental Component Summary (MCS) scores. This allows us to isolate each of these components and their individual effect on our outcome of interest, all-cause mortality. We found that there was an approximately 3% reduction in the risk of mortality at the end of follow-up for a 1-point increase in each of both the MCS and PCS scores. Additionally, we thought that it would be an interesting exploratory analysis to look at the distribution of MCS and PCS scores, by quintile. The pattern was fairly intuitive, for example, those in the lowest quintile of MCS and PCS scores, had a 3-fold greater risk of mortality at the end of follow-up. To be clear, we do not suspect that these results indicate some sort of causal relationship so much as implying that a measure of capturing SRH may serve as a ‘catch-all’ for problems that patients may be experiencing. As such, it could very much be seen as complementary to the typical information that a clinician may have for a particular patient. A final interesting feature about this analysis is that it emphasises the value of conducting secondary analyses of trial data. These analyses, even if largely exploratory or ‘hypothesis generating’, can be conducted relatively simply, with little cost aside from an analyst’s time, and can generate important ideas or hypotheses for additional analyses. The conclusion of our study is that the measurement of SRH might be a useful tool in stratifying or identifying those patients, in a general practice setting, that might be at-risk for poor health outcomes. The attractive feature about this finding is that the information can be procured quickly and inexpensively, without undue burden to the patient or clinician. Mommersteeg PMC, Denollet J, Spertus JA, Pedersen SS. Health status as a risk factor in cardiovascular disease: A systematic review of current evidence. Am Heart J. 2009 Feb;157(2):208-18. Nielsen TJ, Vestergaard M, Christensen B, Christensen KS, Larsen KK. Mental health status and risk of new cardiovascular events or death in patients with myocardial infarction: a population-based cohort study. BMJ Open. 2013 Aug 1;3(8):e003045. Raymakers AJN, Gillespie P, Murphy E, Cupples ME, Smith SM, Murphy AW, Griffin MD, Benyamini Y, Byrne M. Patient reported health status and all-cause mortality in patients with coronary heart disease. Family Practice. Published: 28 October 2017. Murphy AW, Cupples ME, Smith SM, Byrne M, Byrne MC, Newell J. Effect of tailored practice and patient care plans on secondary prevention of heart disease in general practice: cluster randomised controlled trial. BMJ. 2009 Oct 29; 339:b4220.